LOUISVILLE, KY (WAVE) – Faith leaders from the Islamic and Christian religions came together over the weekend to promote commonalities and ways to bring the Louisville community together. In a time when acts of extremism at home and abroad still grip the headlines, the group gathered to tackle hot button issues. Northeast Christian Church served as the backdrop, and the church’s pastor, Tyler McKenzie, was the moderator. “Why is it that we struggle so much to get Christian and Muslims together for conversations?” McKenzie asked. 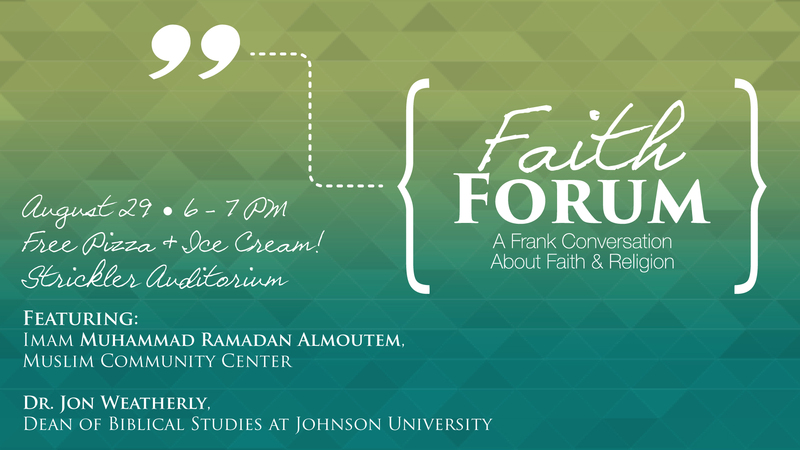 Imam Muhammad of the Muslim Community Mosque represented the ideals of the Islamic faith while Dr. Jon Weatherly, Dean of Biblical Studies at Johnson University, served as the expert on Christianity. At the heart of the discussion were the differences between the two major religions, giving the audience – mixed in make up – a true understanding of where the ideologies differ. Also in focus: the fear harbored by many Americans concerning Islamic extremism. That fear was only reawakened by the recently thwarted terror plot on a Paris-bound train, where three American men stopped a would-be terrorist from turning the train into a bloodbath. A parade of white extremists has been nabbed recently for plotting to kill Muslims. Have you read about it? Didn’t think so. There’s a growing threat in America involving Muslims. The FBI has even recently issued a warning to alert local law enforcement about it. But our politicians and media continue to ignore it. The threat I’m speaking of is not “radical Islam,” as the right loves to call it. Rather I’m talking about the threat of “radical Americans” who are plotting to kill Muslim Americans and to stoke the flames of hate versus Muslims in hopes that others will be inspired to do just that. Now some may be asking “What threat against Muslim Americans?” I can fully understand that reaction, given how little our media cover plots to kill Muslims. It appears to many in the media, Muslim lives simply don’t matter. So let me bring you up to speed on what is going in the world of “radical Americans.” Just last Friday, Glendon Scott Crawford was convicted in federal court of trying to develop a “weapon of mass destruction” to kill Muslims in his upstate New York community near Saratoga Springs. Scott, an industrial mechanic at General Electric, was constructing a “death X-ray machine” to kill Muslims because he viewed them as the “enemies of Israel,” per the indictment. Just so it’s clear, no one has claimed that Crawford was mentally ill. He was simply a man who so despised Muslims that he wanted to use his electrical skills to kill them with radiation. He had even successfully tested, with FBI undercover agents, the remote trigger for the device. Thankfully, he will be sentenced to 25 years to life in prison. 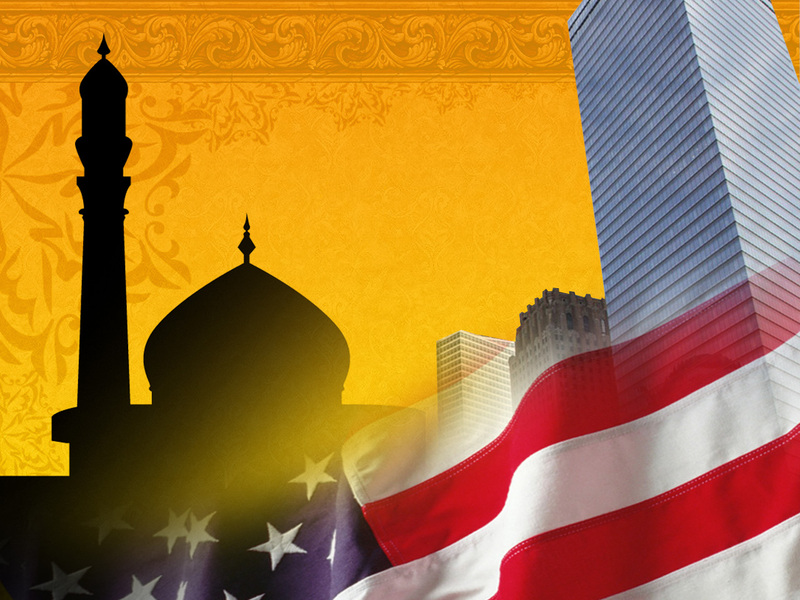 American Islam will be increasingly marked by two trends: the embracing of the American ethos through enhanced engagement in politics and service, and a shift in theological orientation toward a more spiritual Islam. Editors’ Note: This article is part of the Patheos Public Square on the Future of Faith in America: Islam. Read other perspectives here. The future of Islam in America is bright. Even though many American Muslims are reluctant to acknowledge it, there is clearly a uniquely American Islam on the horizon. What is hopeful about this American Islam is that perceptions of it are gradually becoming immune to the violence, the human rights violations, and the political chaos that is perpetrated in the name of Islam in many parts of the Muslim World. Many Americans today are able to make a distinction between “our Muslims” meaning American Muslims and “those Muslims,” meaning Muslims in Europe, Middle East, and generally “over there.” This is a gradual development and is apparent from opinion surveys that show low favorability for Islam — which is shaped by realities in the Islamic World — and higher favorability toward American Muslims — becausethis opinion is shaped by interaction with American Muslimswho are generally successful, devout, moderate, and increasingly engaged in interfaith dialogue and volunteerism. 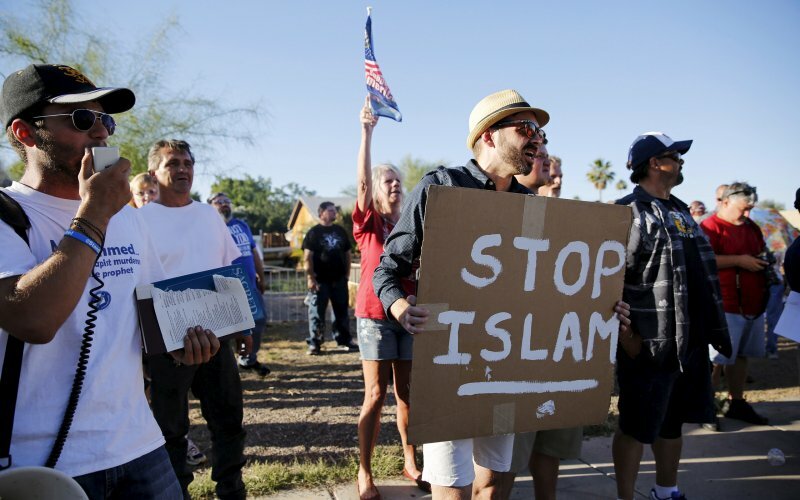 Muslim activists, organizations, and scholars today are scrambling all the time to combat Islamophobic episodes or acts of violence that may engender more hate toward Islam and Muslims. Periodically we have to deal with critical moments — the attacks on soldiers in Fort Hood in 2011, the Boston bombings in 2013, and the Chattanooga shooting in 2015 — that cause setback to our efforts to fight Islamophobia. Hopefully as American Muslims become more insulated from the negative consequences — Islamophobia — of the political and cultural realities of the Muslim World by distancing themselves from the theological and political proclivities over there, they will become safer and will thrive more than ever before over here. Surveys conducted by Pew have found that opinions of Islam and violence did not change after the attacks on the Boston Marathon in 2013, suggesting that we are reaching equilibrium and this bodes well for the future. Evidence of a disturbing lack of knowledge about Islam with at least one GOP candidate for president. Others, sadly, show the same ignorance. His comments at a VFW Post in Derry, New Hampshire, triggered a quick response from a Muslim advocacy organization, which called on him to apologize. When asked Saturday if Walker had misspoken, campaign spokeswoman AshLee Strong said the Wisconsin governor knows that most Muslims are peaceful. “The Governor knows that the majority of ISIS’s victims are Muslims. Muslims who want to live in peace – the majority of Muslims – are the first target of radical Islamic terrorists,” Strong said in a statement. Strong did not say whether Walker planned to apologize. The council has criticized Walker previously. 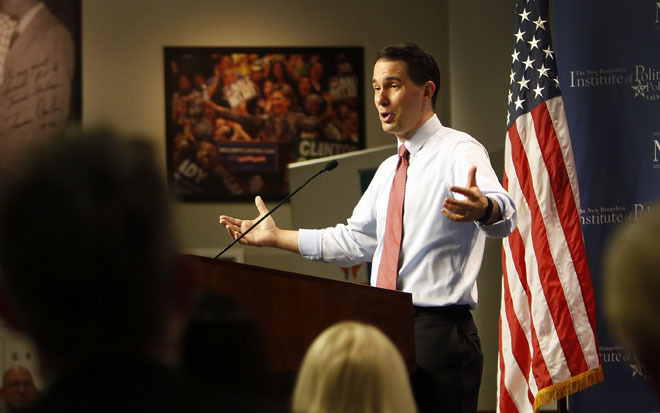 In July, it called on Walker to cut ties with Kevin Hermening, a former Iran hostage. In the wake of the Sept. 11 terrorist attacks, Hermening called for wiping out the capitals of seven heavily Muslim countries if they didn’t support American efforts to kill Osama bin Laden, and for the deportation of undocumented immigrants, especially those of Middle Eastern descent. The long-standing Lincoln Road United Church has been sold and the historic building that was erected 100 years ago for Protestant Christians will now serve Windsor’s Muslim community. The Masjid Noor-Ul-Islam Madressa and Cultural Centre of Windsor is not yet in full operation, but crosses came down and new signs recently went up for the mosque. The building, constructed in 1915 as a Methodist Church, had been for sale for almost three years. It sold in February for under $500,000, significantly less than the United Church’s original asking price of $895,000. Mitton, who attended the neo-gothic church for 25 years, expects to see the impressive stained-glass windows, which depict Biblical scenes and which were custom made for the space, eventually covered. 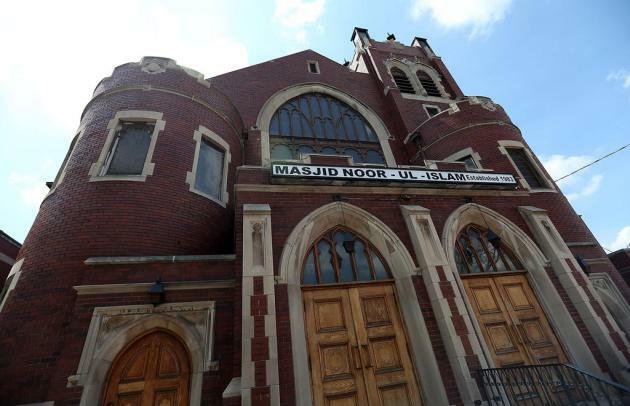 The Masjid Noor-Ul-Islam Madressa and Cultural Centre of Windsor, established in 1983, was a longtime neighbour of the church, operating in a cramped house in the 700 block of Lincoln Road for years. The building is listed under the heritage act but not designated, which means the new owners can renovate the property but cannot demolish it. In only a few instances are circumstances for men and women notably different in the Qur’an, and these verses are being seriously studied and interpreted by both women and men today. Passages that seem to affirm male authority over women are based on the Islamic understanding that men are responsible for the financial support of women. 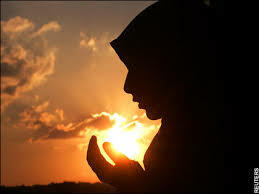 Some Muslims argue that they should be reinterpreted in cases where women are now the financial providers. While the Qur’an allows a Muslim man to take up to four wives, it also insists on equal treatment for all. Some Muslim women are ensuring monogamous marriage by making it part of the marriage contract, and polygamy is forbidden in states where it is against the law. 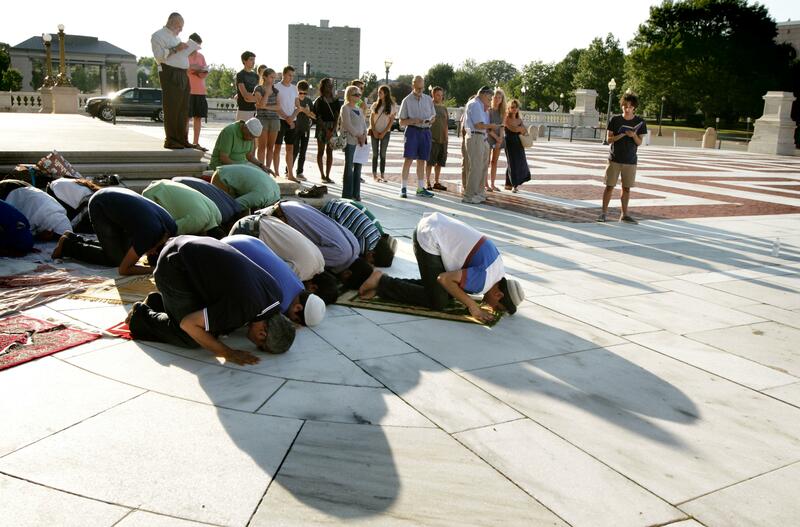 PROVIDENCE — The sound of prayers in Arabic and Hebrew resounded simultaneously outside of the State House Sunday night in the name of peace and justice. Two high school seniors — August Kahn and Danish Azam — from Providence’s Wheeler School organized the interfaith prayer service that drew roughly 40 people. Kahn, who is Jewish, and Azam, who is Muslim, said their goal was to show that Jewish and Muslim communities in Rhode Island are committed to having productive dialogue. They also said the event was intended to condemn religious extremism and intolerance. “We want to show that there’s a group of people who are willing to foster and promote interfaith dialogue and come together to understand each other,” said Kahn, an 18-year-old from Barrington. Azam, a 17-year-old from Warwick, said the two got the idea after watching a video online that showed a small interfaith group praying in Los Angeles. He said their goal was to draw a larger group to a public space. They drew children, parents and the elderly to the event, which they advertised on Facebook. Tensions in the Middle East also prompted the pair to organize the event. “Judaism and Islam are both Abrahamic religions so they share common roots. We are allies,” Azam said. While the prayers recited were from the Jewish and Muslim faiths, the pair pointed out that some who came weren’t of either faith, but attended to show support for the dialogue.